The Justice League arrives at James Palmer's home, believing that under the hacker name of "Jesse James," he is responsible for recent troubling events. However, Palmer declares his innocence, and this proves true. 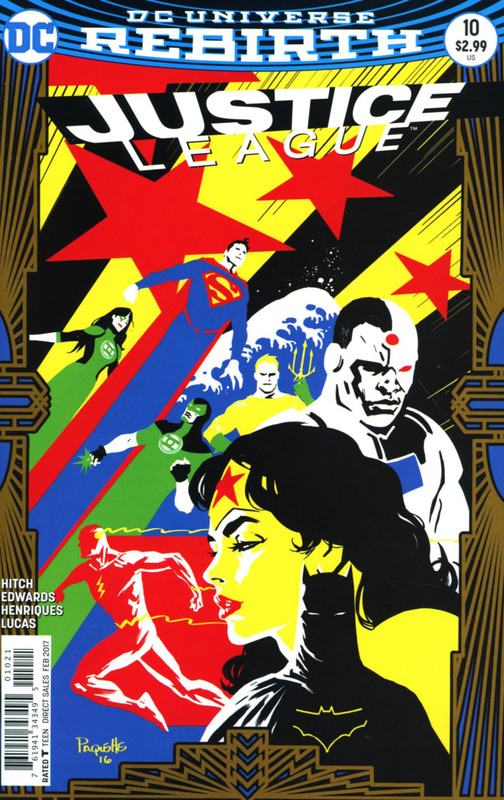 The League continues to investigate, only to learn that a contract has been taken out on them, and they must now contend with every super-villain looking to score large for their deaths. Story - 2: Chagrin, yes, that is the appropriate word that describes what races across the face, once the realization set in that last issue wasn't the last. This story hasn't been nearly engrossing enough to justify a third part. That, and the close of the previous issue seemed to settle most, if any, questions one may have had about the events that transpired. Instead, readers are treated to another part in a story that just isn't very entertaining. The idea of the Justice League contending with their greatest adversaries isn't a bland notion, however, that won't happen. The foes that will attack, in storylines such as this, are always the lower tier, and for obvious reasons. Those villains can be defeated handily, and without question... which is exactly what happens. Giganta being defeated yet again just isn't a reason to keep this book on one's pull list, and while I still hold out hope that the book will shape and shore up, that hope is becoming more and more my own denial to call the Justice League what it is at this time: a complete and utter missed opportunity. Art - 3: Most of the scenes are set within a suburban home, which makes for very little dynamism, and when things do pick up, you'd rather remain asleep in that nice toasty bed. 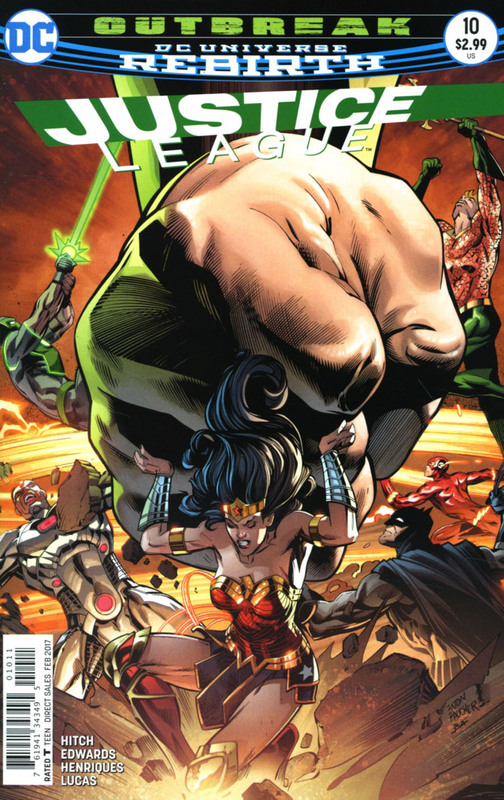 Cover Art - 5: Reminiscent of the Silver Age, a giant hand that may preclude a giant story? Well, at least there is something of interest about this issue.